Defensive AA Fire consumable is added to a separate slot, it has similar stats to that of Farragut’s. Alternative “Monaghan B” hull is added with 5-tube torpedo launchers. 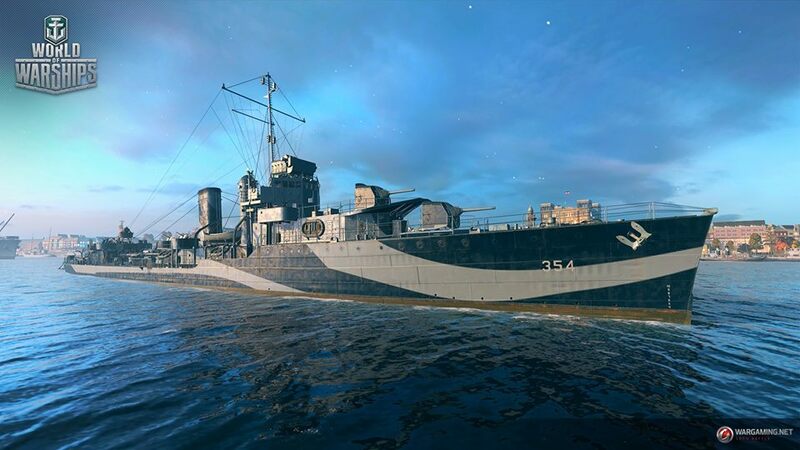 Mark15 mod.3 torpedo launcher module is also available for the new hull. Third and fourth gun turrets are replaced with Bofors Mk2 and Mk1 (quad and double). AA guns on the platform behind the 2nd funnel are replaced with Bofors Mk1 turrets.